The Philadelphia Eagles are one of the hottest teams in the NFL right now. On Thursday Night, they defeated the Carolina Panthers 28-23 and moved to 5-1, best record in the NFC. 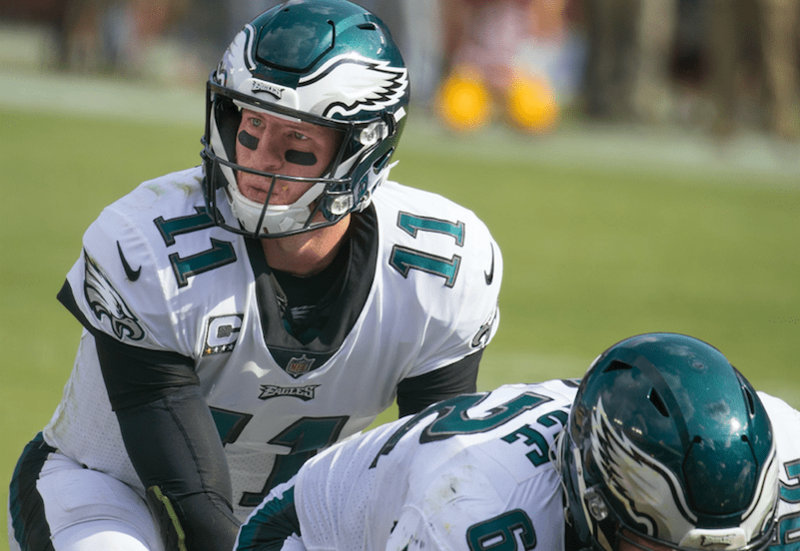 Quarterback Carson Wentz threw for three touchdowns and the Eagles defense intercepted Cam Newton 3 times to secure the victory and keep the Eagles atop of the NFC East. But it was what happened before the game that might have been the most impressive victory of the day. Marcus Johnson was baptized at a hotel in Charlotte, North Carolina on Thursday afternoon, just prior to the team’s victory Thursday Night against the Panthers. After the victory, as the Eagles players always do, they gathered in a postgame prayer with members of the Panthers and included in that circle, was number 14, Marcus Johnson. This is not the first time the Eagles have done something like this. 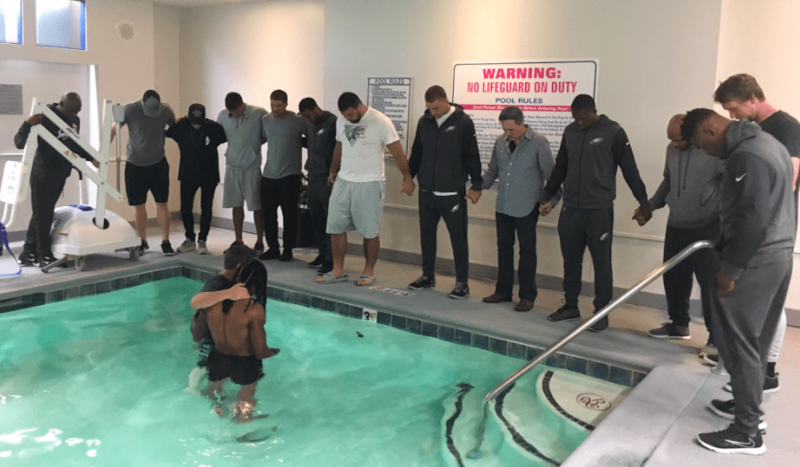 Last October, Eagles players got baptized at the team facility and made national news on ESPN. We talked to Eagles safety Chris Maragos and team chaplain Ted Winsley about that moment on the Sports Spectrum podcast. Click below to watch and hear the entire story. Next up for the 5-1 Eagles is an ESPN Monday Night Football matchup on October 23 against the Washington Redskins.